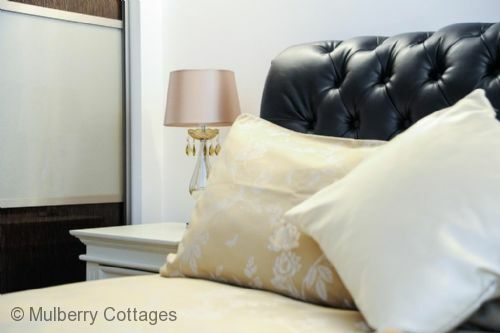 Luxury holiday cottage in the trendy seaside town of Whitstable within five minutes of the beach and the lovely boutiques and shops of Whitstable town. 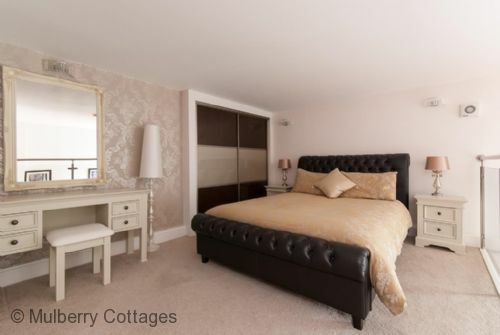 This beautiful self catering accommodation is over two floors with a stunning mezzanine master bedroom complete with en-suite, all has been furnished to a very high standard with large comfy sofas and luxurious beds complete the scene. 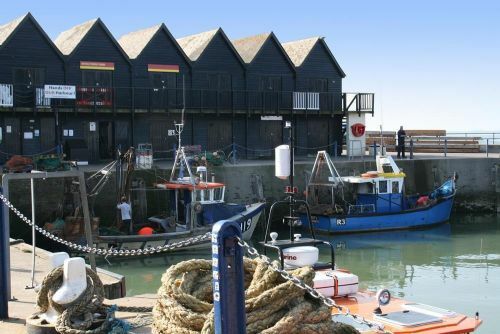 Whitstable itself has lots to offer from the renowned oysters and shell fish that can be bought fresh from the working harbour to the water sports and sailing. The award winning oyster restaurants and Sportsman restaurant at Seasalter are also close by. Don't forget when staying in Whitstable at the holiday cottage to look out for the colourful beach huts all along the beach!All in all, this holiday apartment in Kent is an extremely convenient and comfortable place to stay and enjoy the wonderful delights of this traditional seaside Kent town, Whitstable. 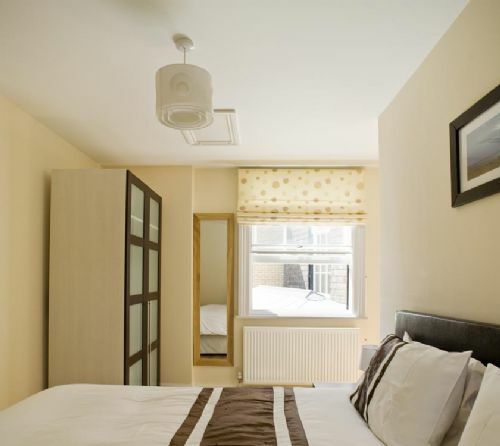 4 Knot's Yard: sleeps 4 in 2 double bedrooms (1 is open mezzanine), 2 bathrooms (1 en-suite shower room), 1 reception area. WiFi Internet. 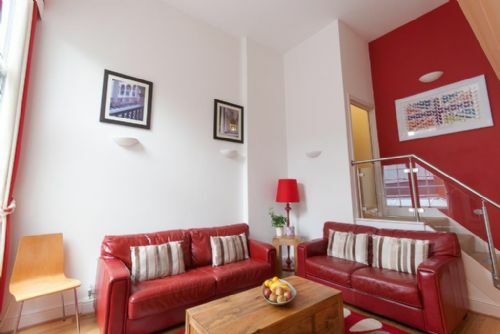 The apartment is reached via communal stairs to the first floor (two flights). 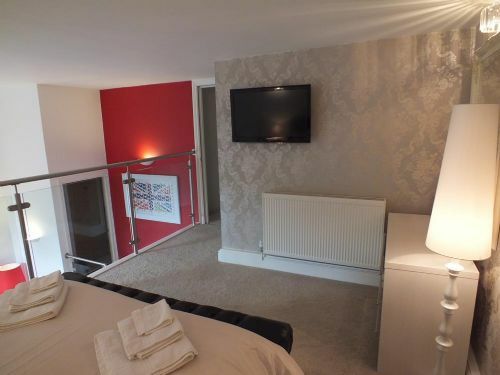 Four steps lead down into the living room, 40'' LCD Smart TV, including Internet connectivity and freeview. 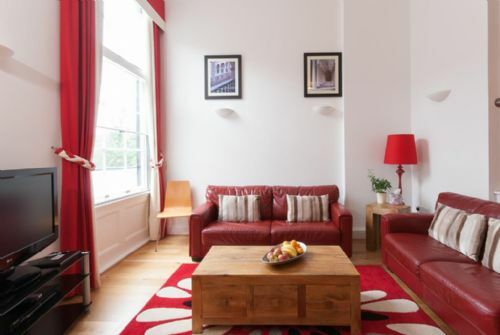 Sitting area, two sofas to seat 4. Dining arrangements, in the living area a fold out table with 4 chairs. 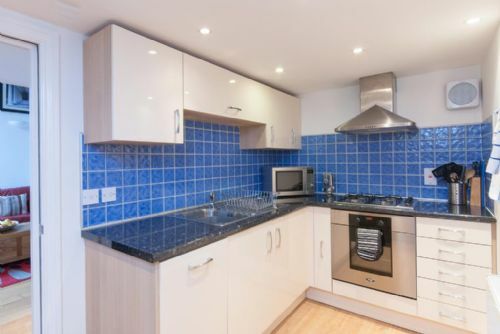 Kitchen, granite-effect work surfaces, dishwasher, washer/dryer, electric cooker with gas hob and stainless steel extractor, large fridge-freezer. A designated parking space for one medium-sized car. There is also a pay and display car park 100 yards away. 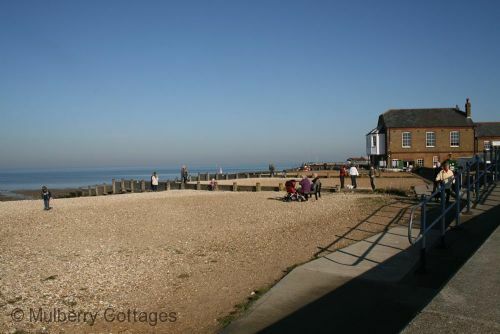 This self catering Kent holiday apartment is situated by the sea in Whitstable. Whitstable lies on a part of the Kent coastline that has been associated with fishing and most notably with oysters for nearly 2,000 years. Fisherman's huts still stand on the beach that edges this delightful old coastal Kent town of Whitstable, full of intriguing alleyways with eccentric names and pretty weatherboard cottages; all just short distances from this holiday apartment. 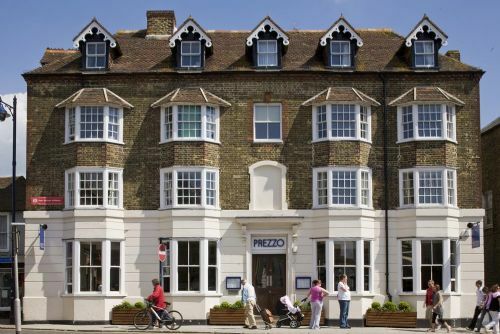 The bustling High Street and Harbour Street, in the centre of the Kent town of Whitstable and a short distance from this Kent holiday apartment, are lined with an array of boutiques, delicatessens, art galleries, restaurants and even an old-fashioned hardware shop. Maritime paraphernalia sits happily with the contemporary art scene to create an eclectic mix of past and present for you to visit as a day break from this Kent holiday apartment. 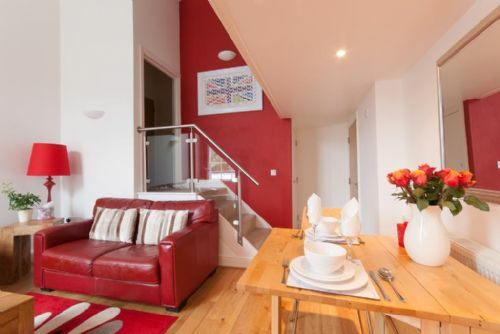 Kent's small town of Whitstable celebrates its historic maritime heritage each year with a Regatta, Carnival and the Whitstable Oyster Festival, ideal for a fun day out during your stay at this Kent holiday apartment. The harbour at Whitstable, built in the 1830's, is still a commercial port and early risers staying at this Kent holiday apartment can watch the day's catch being unloaded from the fishing boats before eating it later in the day in one of Whitstable's many popular seafood restaurants. Like coming home! Hope to see you again soon Whitstable! Apartment is amazing. Quiet and peaceful, yet near everything. Shops are lovely, restaurants very good. Would happily stay here again. Beautiful apartment and perfect location. What more could you want? I would come back here and I would definitely recommend it to others. We had a great stay. Excellent accommodation backed up by excellent customer service. The TV broke and the next day we had a brand new TV. It was our second visit to Whitstable but our first time here - we wouldn't stay anywhere else when we return. We can recommend The Pearsons for a drink or a meal, The Oxford and The Crab and Winkle. What can I say except that the apartment was gorgeous! The picture truly did not do it justice. All went smoothly on arrival and the roses were absolutely stunning! The welcome pack was very thoughtful and appreciated. We will definitely be returning! Thank you Rob and Susana! 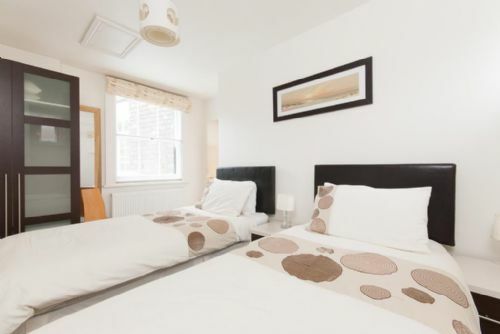 The apartment was very well equipped and comfortable and you really would not know you were only seconds from the high street in Whitstable. A wonderful warm welcome to a really lovely accommodation. 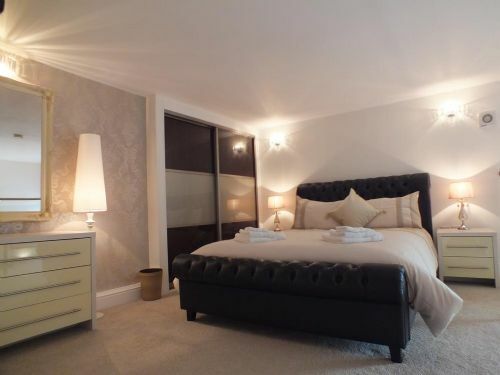 The owners' attention to detail served to make the stay all the more enjoyable and was very much appreciated. Great base to enjoy the Whitstable Oyster Festival from - yet quiet and relaxed away from the hubbub. Many thanks - we'll be back. 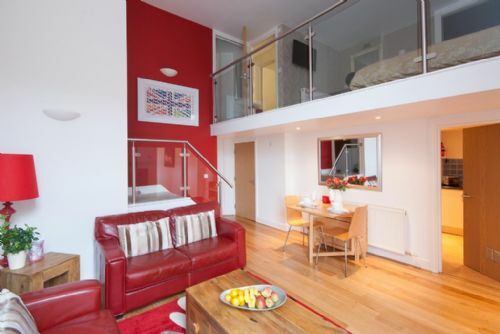 Ideal apartment from which to explore Whitstable. 'Welcome Pack' appreciated. Many thanks! Great place to spend the Xmas holiday in the centre of Whitstable. Bowl of fruit, roses, etc were a great welcome touch. Wi-Fi came in handy. We will be back for another Winter break…. Lovely apartment and very helpful owner (Rob). Flowers, fruit, bread, milk are a thoughtful touch. Jo-Jo's restaurant is a must - but booking is essential. First time to Whitstable but not to Kent, We will be back! What a great place to explore Whitstable from. You wouldn't know you were metres from the High Street! One of the loveliest places we have ever stayed. Zippy our little puppet boy loved flying off the mezzanine into daddy's arms! What fun! We'll be back very soon. Fabulous apartment. Had absolutely everything we needed to settle in and a great base for visiting Whitstable and the surroundings. Thanks for all the lovely touches (from the luxuriously soft sheets to the fresh flowers to the fresh fruit basket)! We hope to be back again! Third visit. 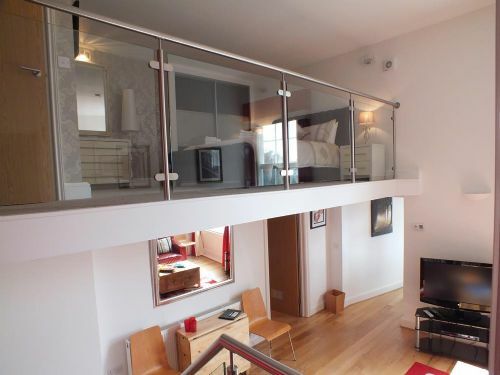 Great apartment and wonderful location. A really great place to stay. The flowers, fruit etc are a very nice touch. Thanks Rob & Susana for the nice welcome. The flat is lovely. Thanks for the attention (fruit & flowers) - that makes us feel warmly welcome. Hope to come back again soon. 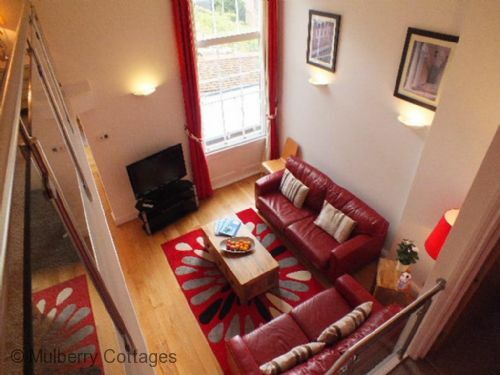 Quiet, stylish, comfortable and welcoming - a perfect apartment for a Whitstable week. Would recommend to other visitors: hiring bikes for Crab & Winkle way to Canterbury and The Sportsman for fine dining in a relaxed and remote pub. We enjoyed Whitstable and your apartment a lot and will come back in 2013! Lovely relaxing break. Apartment lovely - really appreciated the little extras. 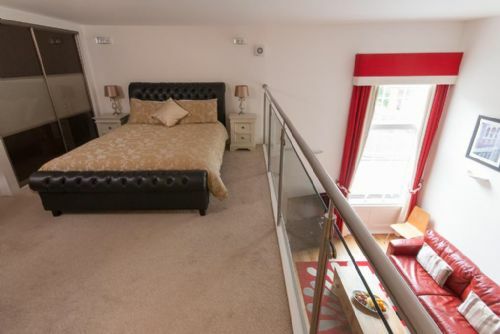 Very clean, comfy beds and great location. We'll be back! Our 2nd visit - can't believe it's been 3 years...seems like yesterday - all as good as we remembered! The Wi-Fi is a definite plus since last time. We look forward to our next visit. Thank you very much to Rob, Susana & James! Lovely apartment. One of the best places we've stayed in. Whitstable lovely as usual. "Wheelers" and "Sportsman" excellent food. Thanks for the extras in the apartment. We will hopefully be back. We enjoyed our holiday in Whitstable very much. 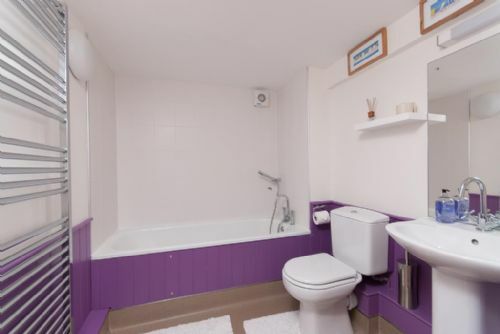 Lovely apartment and excellent location. We appreciated all the extras in the apartment. Thank you both. 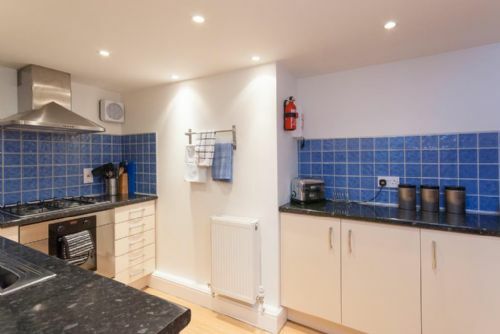 The property has gas central heating. WiFi internet available at the property. 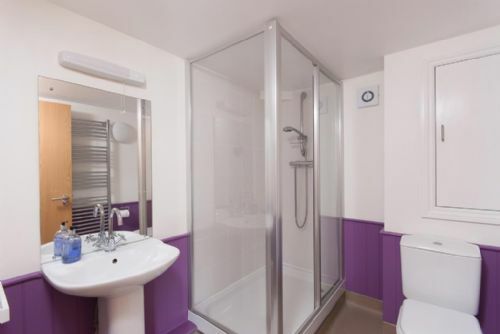 A refundable security deposit of £150 is payable.